Co-located in the beautiful, historic town of Brigus. A single admission fee grants visitors access to both sites. 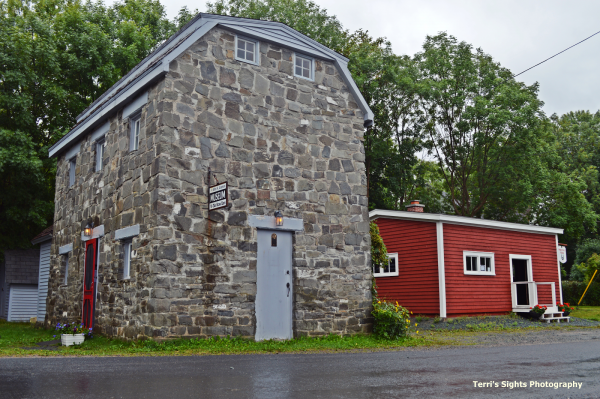 The Olde Stone Barn Museum boasts an impressive collection of artifacts and models which showcase the local history. Visitors will find knowledgeable, friendly staff on site, as well as extensive genealogical records, Captain Bob Bartlett’s Pathé newsreels, and hundreds of artifacts dating back as far as the 15th century. Pinkston’s Forge is one of very few operating forges in Newfoundland. Visitors are invited to watch as a local blacksmith crafts small souvenir objects which are available for purchase. In 2014, the forge was moved to it’s current location next to The Stone Barn Museum. Originally constructed in 1889, the forge proudly displays artifacts and tools which were crafted and used by the original blacksmith. Stone Barn: 9:30-4:30 (Thursday-Monday), 10:15-4:30 (Tuesday and Wednesday). June 1 - Labour Day. (By appointment from Labour Day to the end of September). Pinkston’s Forge: 9:30-4:30 daily.